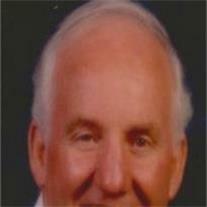 Ralph Marvin Arrington, 81, of Mesa, Arizona; passed away September 28, 2012. A Visitation will be held from 6:00 – 8:00 pm, Monday, October 8th at Bunker’s University Chapel with Funeral Services held at 10:00 am, Tuesday, October 9, 2012 at The Church of Jesus Christ of Latter-day Saints, Aspen Ward, 1249 S. 48th St. in Mesa. Interment will be held at Mesa City Cemetery.